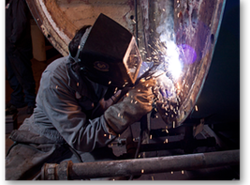 All major and minor ship repairs can be carried out by our expert team of engineers who are specialised in all major and minor repairs of the vessels. From chipping and painting to the main and auxiliary engine repairs can carried by us. Liberty marine is one of the leading shipchandler in india, registered with issa and have also been awared the "BEST SHIPCHANDLER" at kolkata by the - rajiv gandhi achiever’s award. Liberty offers quality stores & provisions at competitive pricing and prompt deliveries. Barge & Boat Services We provide Barge services for Bunkering, & fresh water supply from Jetty to the Vessel does'nt matter how ever far from the land your vessel is anchored. We also provide Boat services for Crew member & sign on or sign of crews. As we have 5 Barges & 9 Boats owned by us. So you wont face any problems with us while in contract. We are providing Ship Repairing Services to our clients. Our dedication in keeping vessels from being delayed in port is remarkable. Ships can't afford to delay their sailings, even for repairs. That's why we are available on a 24-hour basis with mobile and floating equipment to service vessels at any cargo pier. If necessary, riding crews will be put aboard to continue repairs underway. dalwin welt can handle wide range of ship repair on wide variety of vessel’s jobs through well trained and dedicated professionals. our activity whirl round a wide and diverse range of core repair activities including steel fabrication, pipe fabrication and comprehensive mechanical/hydraulic repairs. Relying on our expertise in this domain, we are offering Marine Crane Vessel Repairing Services. 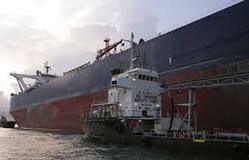 We are also undertaking all kind of complete ship repairing for the vessels, calling for Indian ports. We have highly experienced ship refit and repair specialists providing expert ship survey, ship repair and refit services on all kinds of steel hull marine vessels. Keeping in view assorted requirements and demands of our honored clientele, we are competent to render Pressure Vessels Maintenance Service to our customers. Our service is accomplished using the advanced techniques. Our firm has set a benchmark in providing Pressure Vessels Maintenance Service to the customers. These services are completed in postulated time frame in order to achieve maximum satisfaction of our esteemed patrons. This service is also delivered in customization facility according to the specific demands and desires of clients. ​Repair of ASME Code Stamped Pressure Vessels. ... When an ASME Code Stamped Pressure Vessel is built, it is built following the ASME Boiler and Pressure Vessel Code. Repairs, however, are covered by the National Board Inspection Code, commonly referred to as the NBIC. Emergency Repairs Of Vessels At Kochi Anchorage. L&T Shipbuilding is geared to handle ship repairs, refits and conversions catering to commercial and Defence ships/submarines and offshore platforms. Undertake complete electrical, electronics, hull and engineering packages of Naval and Coast Guard ships and submarines on turn key basis. KMS has also been licensed by the Indian Coast Guard to undertake total refit of their complete range of ships including the AOPV class, at par with the defense shipyards in the country.